One Step Forward, or Just Two Back? 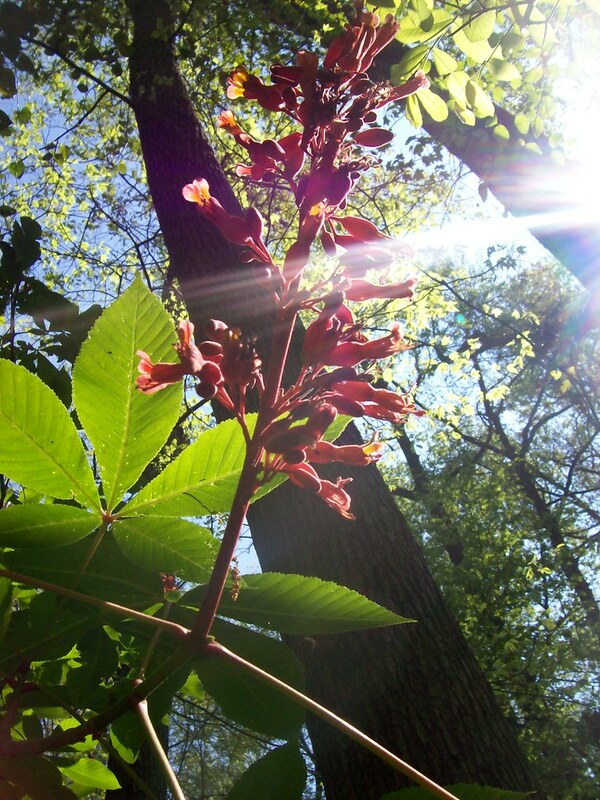 This Sunday, April 26, we're offering two free guided nature hikes in the beautiful Old Forest of Overton Park. The first hike will begin at our usual time of 10:00am, for all you Emily Dickinson fans. 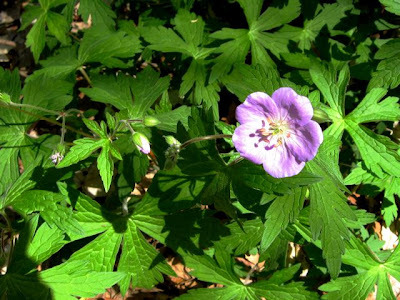 The second hike will begin at 2:00pm and will be guided by botanist Tom Heineke, who was hired nine months ago by Memphis Park Services to conduct a year-long plant survey of our forest. Both hikes meet on the Lick Creek bridge at the east end of Old Forest Lane, next to the Rainbow Lake parking lot. We cover a leisurely 1.5 miles on dirt trails. Kids are always welcome. Email naomi@spiny.com if you need more info. 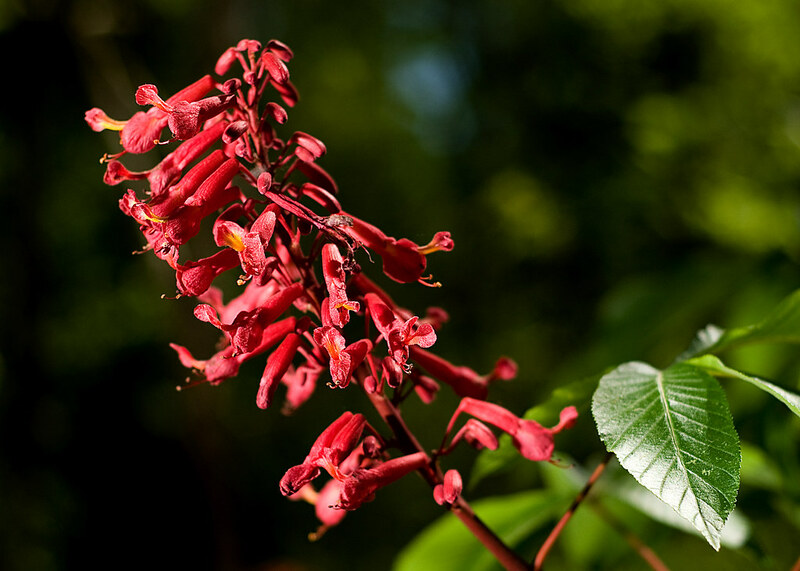 An enthusiastic crowd of 35 people joined us for Saturday's nature mosey at Overton Park. 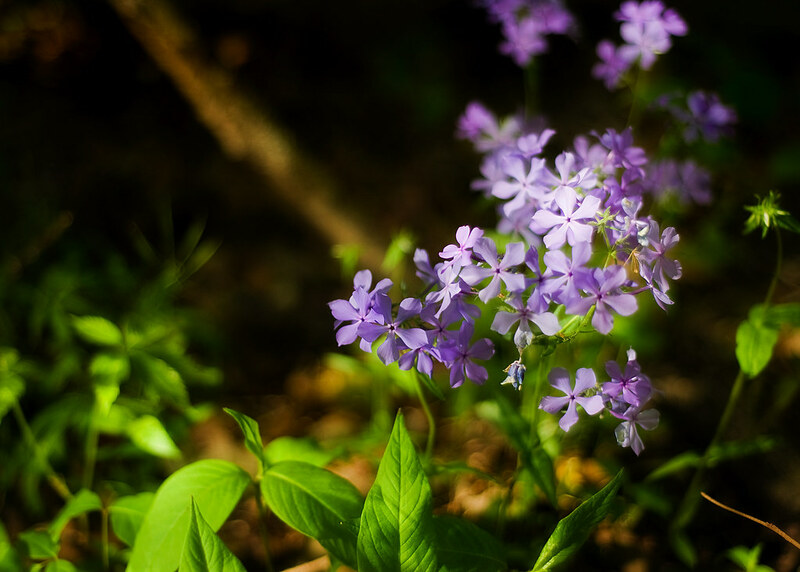 Beautiful weather, beautiful wildflowers, who could ask for anything more? Thanks to Amie, Melissa and Corey for adding those gorgeous photos to our Flickr pool! 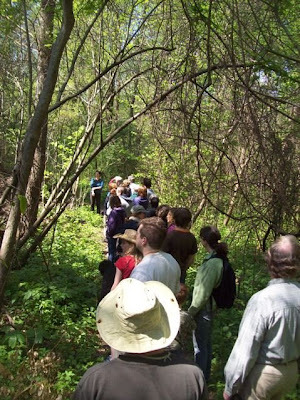 Our next guided hikes will be on Sunday, April 26. 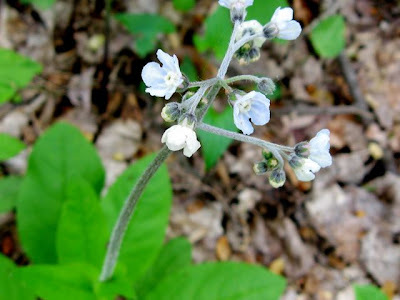 We will do our usual 10:00am hike, then our favorite botanist, Tom Heineke, will lead a second hike starting at 2:00pm. Both hikes meet at the east end of Old Forest Lane, next to the Rainbow Lake parking lot. 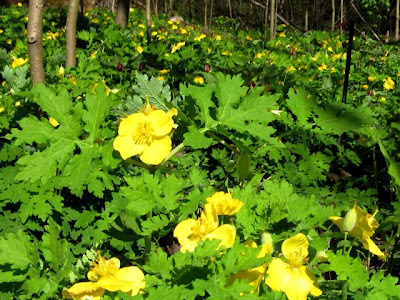 If you can't join us this month, please take yourself for a walk in the woods. 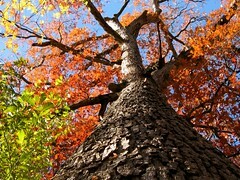 Don't miss this amazing season in the Old Forest! 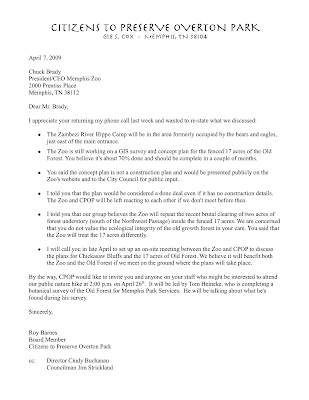 Below is the recap of the telephone conversation I had last week with Zoo Director Chuck Brady regarding the Zoo's planning for the Chickasaw Bluffs exhibit and the recent understory clearing. The conversation was a follow up from our earlier talk. 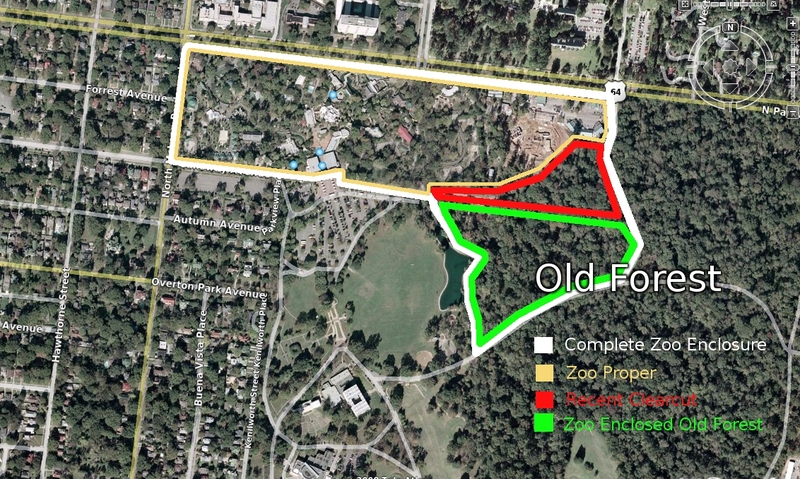 The next step: into the 17 acres for an on-the-ground meeting with the Zoo. 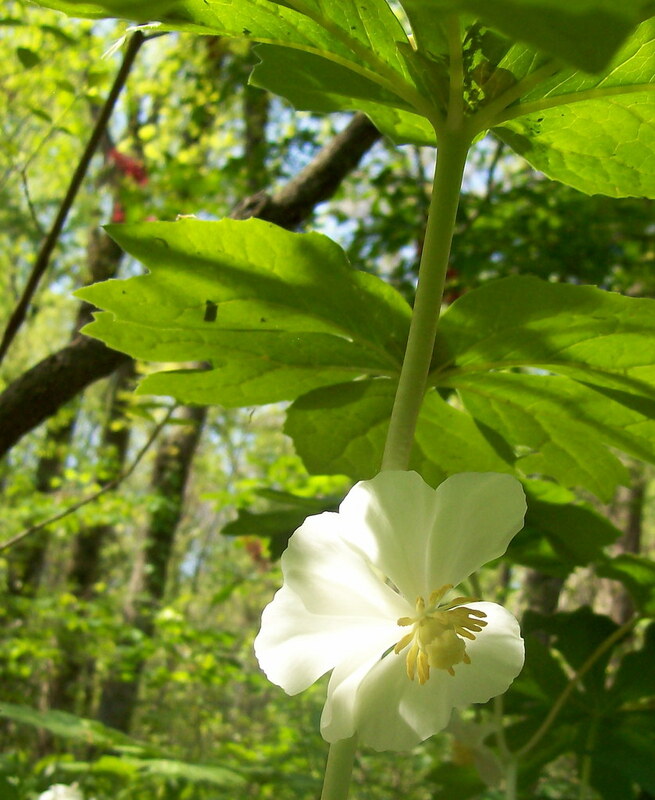 Join us tomorrow morning -- 10:00am, Saturday, April 11 -- for a wildflower hike in the beautiful Old Forest of Overton Park. We meet at the Lick Creek bridge at the east end of Old Forest Lane, next to the Rainbow Lake parking area. We cover a leisurely 1.5 miles on dirt trails. Kids are always welcome! The aim of this workshop is to set our contemporary and local debates over green spaces in Memphis and Shelby County in the context of two centuries of debate over environmental protection and urban planning. Overton Park and the Memphis Parkway system, planned by George Kessler, were designed explicitly with an eye to F.L. Olmsted’s famous New York developments of Central Park and Prospect Park. 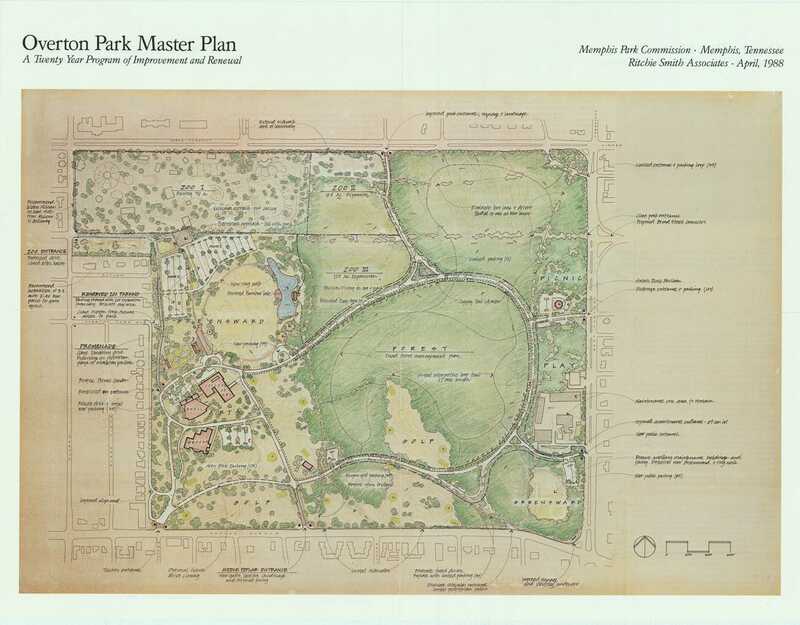 But the Olmsted parks were not just objects of beauty: Olmsted was passionately convinced that such greenspaces contributed both to the social cohesiveness and fairness of a modern urban society and to the health of urban populations. His ideas for urban parks were formed as a result of his travels in Britain and Europe, in particular by his experience of Birkenhead Park, in Northern England. Designed by the great engineer Joseph Paxton and opened in 1847, Olmsted considered that Birkenhead Park achieved a democratisation of urban experience and produced significant health benefits for one of the 19th century’s great industrial cities. 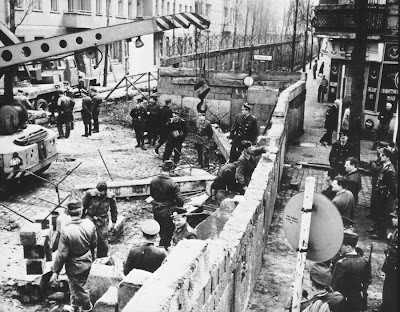 Paxton was an innovator, but he too inherits a dynamic tradition of urban planning and sanitation reform from the 18th century. Birkenhead Park draws from the new towns of Edinburgh and Bath. The creation and maintenance of green spaces are an urgent concern from the very moment at which rapid urbanisation and industrialisation emerged in the western world. Dr. Roey Sweet will survey examples of polite spaces in newly-urbanising 18th-century Britain, revealing intellectual underpinnings that range from enthusiasm for Druids through to a recognition of the need for open space and traffic management in the battle against disease, appalling living conditions, and the moral failings of the poor. Dr Sweet will also caution against taking overly seriously many of these assertions of noble motives, pointing out that the creation of open spaces also contributed to the enhancement of property values and the attraction of an elite population. Dr Katy Layton-Jones will carry the story into Britain’s famous 19th-century parks movement. Throughout the late 18th and 19th centuries, the British landscape was transformed by industrialisation, urbanisation and suburbanisation. This physical transformation of space was accompanied by a conceptual one, through which existing notions of public and private, rural and urban, were reappraised and challenged. Central to this process of redefining and reshaping the British landscape, was the ‘creation’ or designation of public green space in the form of walks, cemeteries, and perhaps most importantly, municipal parks. This paper will look at how the process of creating public green space, the designs of influential figures such as Joseph Paxton and Edward Kemp, and representations of the finished landscapes, all contributed to a re-conceptualisation of the British urban realm in the long 19th century. 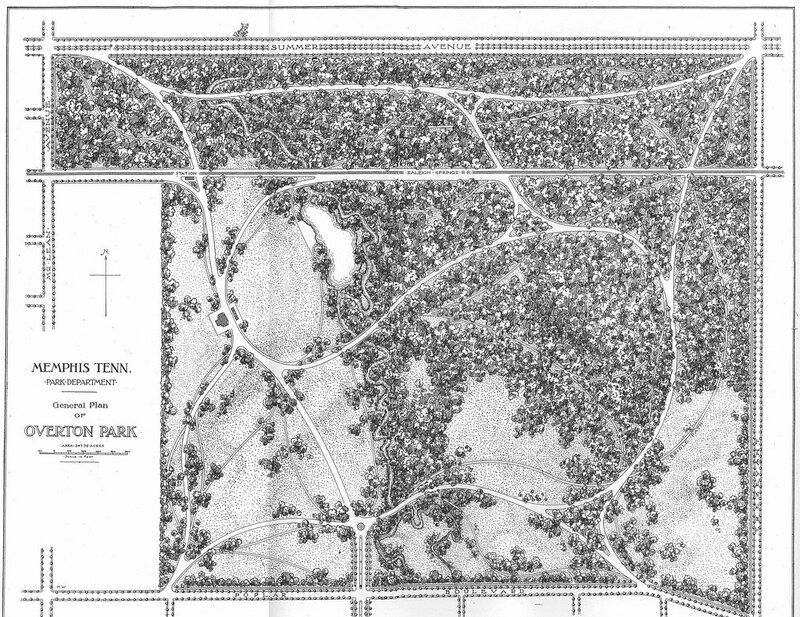 "Birkenhead Park, Frederick Law Olmsted, Central Park, and the Design Brief for Overton Park"
Dr Michael Leslie will briefly document the influence of these 18th and 19th-century urban green space developments on the most important urban landscape designer in American history, Frederick Law Olmsted, the principal designer of both Central Park and Prospect Park in New York and the creator of urban parkway systems. 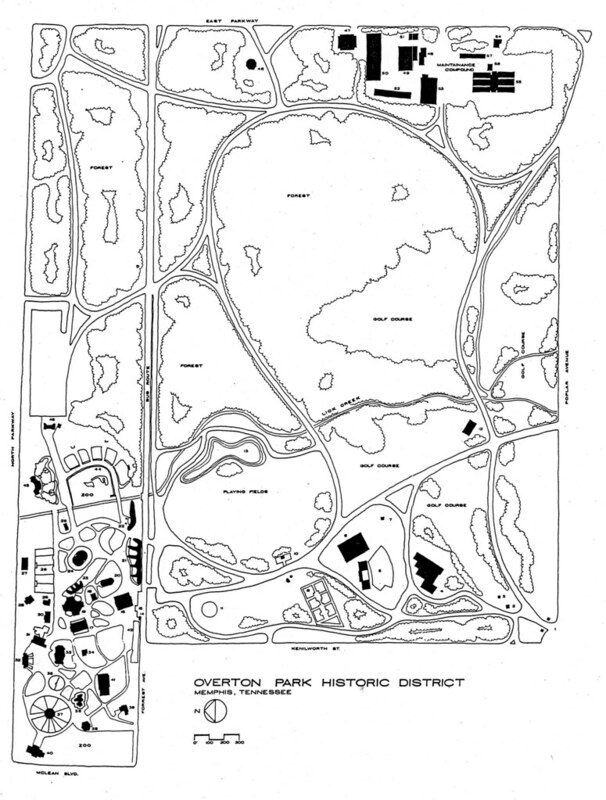 He will point to the continuation of many of the themes identified by Drs Sweet and Layton-Jones in American urban space creation, not least in the Tennessee example of Memphis’s Parkways and Overton Park, designed by one of Olmsted’s disciples, George Kessler. Participants are Jimmy Ogle (Citizens to Preserve Overton Park), Lauren Taylor (Hyde Foundation), Diana Threadgill (Mississippi Corridor), Ritchie Smith and Lissa Thompson (Ritchie Smith and Associates). 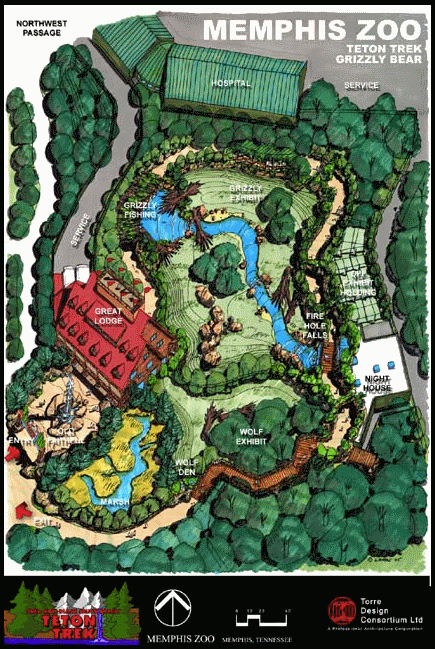 "We couldn't be more thrilled about this tremendous opportunity," said Memphis Zoo director Chuck Brady. "We always like to think of ourselves as a hungry anaconda on the prowl, and Overton Park as a tasty newborn piglet that can't run very fast. Swallowing that piglet is a proud achievement for us." As part of its expansion, the Memphis Zoo will install a 15-foot wall around the perimeter of the 342-acre Overton Park. 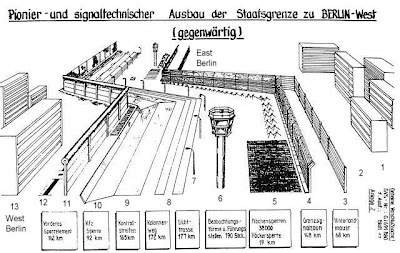 The wall was designed by a German architectural firm. 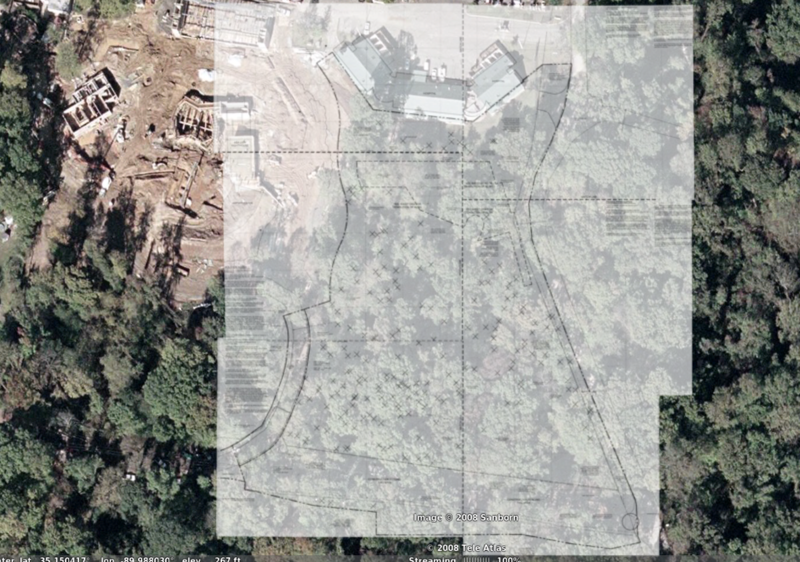 "We were looking for a cosmopolitan yet timeless look, and we're very excited about implementing this design," said Zoo spokesmodel Brian Carter. Money-making park attractions, such as the Brooks Museum and the golf course, will remain open but will be enclosed in glass so that Zoo visitors can observe rare and endangered human subspecies (Fine Art Supporters and Golfers Who Walk) in their natural habitats. The remainder of the park will be converted into exhibits and paved parking lots, with a hotel complex and shopping mall in the works. "The best part is that we can fund many of these projects with onsite resources," said Brady. "All we have to do is strip the old-growth timber and truck it to the sawmill, and we've had plenty of practice doing that." Zambezi River Hippo Camp. This exhibit will allow visitors to "experience daily life in a typical African village along the Zambezi River." Avoid the hungry jaws of hippos and crocs while fishing for your dinner! Fend off starvation as you learn how to slaughter and stew your own goat! Serengeti on the Greensward. Thrill to the sight of giraffes and antelopes roaming freely among the minivans! Watch the elephants and rhinos wallow in the mud of the new Greensward Marshlands! Chickasaw Bluffing. This amazing exhibit will take 17 acres of the old-growth ecosystem that typified the Mississippi River Valley until the mid-1800s and replace it with an exact concrete replica! Enjoy the shooting gallery featuring animatronic ivory-billed woodpeckers, Carolina parakeets, and passenger pigeons! The Zoo is soliciting public input on what color to paint the wall. "You can cast your vote at memphiszoo.org," said Carter. "We're offering three exciting choices: steel gray, slate gray, or gunmetal gray."